Anti-aging products are everywhere. If you’re concerned about how your skin is aging and serious about anti-aging skin care don’t try to buy over the counter products at the drug store. When it comes to reducing the appearance of fine lines, wrinkles, sun damage, age spots and the other skin imperfections that have popped up on your skin over the years, you’ve got to have a plan and a professional Esthetician! That’s where I come in. I’ve got a great anti-aging treatment that can help you reverse the signs of aging in as little as one hour! It’s called a Chemical Peel. Unlike the anti-aging products you’ll find in a drug store, I carry the most effective anti-aging products available and they are not a “one size fits all” solution. Based on your skin care concerns, I’ll select a series of products to create a customized Chemical Peel just for you! The products I use will be specific to the current condition of your skin and have your desired end results in mind! During your treatment, I’ll apply your customized Chemical Peel to your skin. I’ll massage the products in to the area we are treating so they penetrate several layers of your skin. As your skin absorbs the products, it will begin to exfoliate itself, revealing a new layer of healthy skin. While many clients see results after their first treatment, it usually takes a series of services to get the full benefits of a Chemical Peel Service. A Chemical Peel should be your #1 tool when it comes to anti-aging. Beyond that, you need to have a good at-home care routine, which includes wearing sunblock DAILY. When you get a Chemical Peel treatment from me, I will help you determine the best at-home regime that will improve your skin. Reduced acne – If you’re suffering from acne a Chemical Peel may be able to help improve the clarity of your skin. Smoother skin – Because a Chemical Peel will help exfoliate your skin, it leaves a layer of fresh, smooth skin to serve as the perfect foundation for your skin care products and makeup. Many clients tell me that after they get a Chemical Peel service their makeup looks better! If you have questions about getting a Chemical Peel service, please contact me at amy@avilaskinstudio.com or by phone at (469) 283-8185! 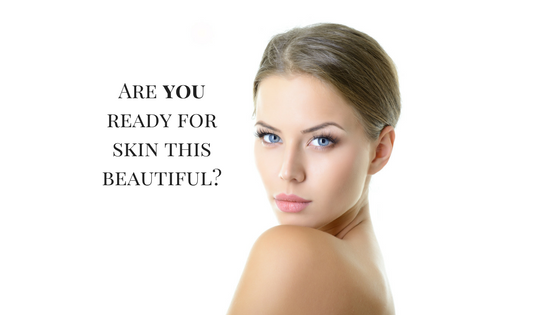 If you’re ready to schedule my most popular anti-aging treatment, click here.